Senior Living Navigator works with families to understand the choices for senior living and care by determining the appropriate options for your loved one and recommending a strategic plan of action based on an unbiased assessment. We help ease the process and give you the confidence to make an informed decision for today and the future. How do I begin the senior living and care process? 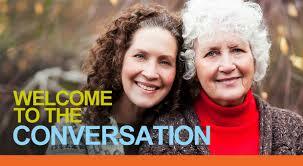 Even the closest of families have difficulties initiating discussions about continued care for loved ones. It can create anxiety, apprehension and surface some complex and uncomfortable feelings. Unfortunately, for years families have been conducting these conversations in private. They have dealt with housing and care for their loved ones without guidance or direction. However, due to changing times and the complexities of senior options, this is more difficult than ever. Senior Living Navigator is there to help facilitate, guide and answer questions that allow conversations to head down the right path. How do I know what type of questions to ask? What do I look for when touring communities? Whose knowledge might I leverage to make the most informed decision? Very few people are prepared for the responsibility, complexity and confusion associated with selecting appropriate senior living and care for their family members. Piloting this kind of course without clear direction and guidance can be a daunting journey. Leveraging support from an impartial third party may be the only way to navigate this period with emotional ease. Senior Living Navigator ... steers families into making the BEST choices for today and the future!